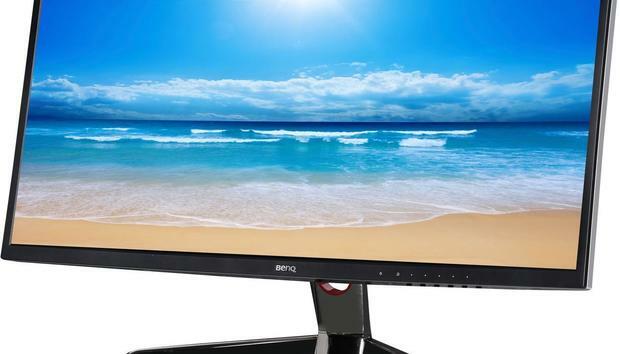 Among the massive curved monitors for gaming, BenQ displays were already pretty well-priced. Today, Newegg is selling a BenQ curved display for even less: Right now, you can get the BenQ XR3501 35-inch curved monitor with 2560x1080 resolution for $550. The deal is scheduled to end around 11:59 Pacific Time Thursday night, unless supplies sell out earlier. The XR3501 has a 144Hz refresh rate with a 4ms response time, which is great for gaming. It's also got three different gaming presets: one for racing games, and two for first-person shooters. It also supports picture-in-picture and picture-by-picture modes, offers a low-blue light mode to help with eye strain during late night gaming sessions, and has a color engine designed to improve visibility in dark scenes. On the back, the monitor sports two HDMI 1.4 ports, one DisplayPort 1.2, and one DisplayPort 1.0, as well as a headphone and mic jack. The stand provides a -5 to 15-degree tilt. BenQ may not be a universally known name, but it is a popular choice among gamers--and today's deal is about as good a price as you can currently get on a curved monitor of this size and at this resolution.